Campingpark Oberammergau si trova a Oberammergau, Baviera, è situato fiume/torrente. Questo campeggio dispone di piazzole delimitate, senza ombra e piazzole poco ombreggiate. È possibile affittare appartamenti e bungalow. Il campeggio dispone di un parco giochi al coperto e di un campo sportivo. Ogni anno un ispettore visita il Campingpark Oberammergau, controllando oltre 200 tra attrezzature e altri punti di interesse del campeggio. L'ispettore è un dipendente ACSI e non lavora per il campeggio. Really friendly and helpful welcome at reception in good English. Toilets and showers modern and very clean. Pitches vary in size, some being quite small and the surface is mainly gravel, some quite large. Tent area is grass. Some road noise. ACSI discount EHU is limited to 4kw/hrs/day. Interesting town and supermarkets are an easy walk along the river path and bus stops close to the entrance, seniors get a free bus pass from reception. Lovely area with many walks from the site. With ACSI discount, great value and our stay extended to several nights more then planned. Beware this site charges for electricity usage on top of the ACSI site fee. The surroundings were sublime with the 1342 metre Kofel mountain dominating. A fifteen minute walk alongside a crystal clear stream takes you into the centre of Oberammergau, a tourists' haven. The Hexenstube restaurant at the entrance to the site provides quality meals at very reasonable prices. The reception staff were very friendly and most helpful. The shower/toilet block was first class. Bread and buns could be odered daily. 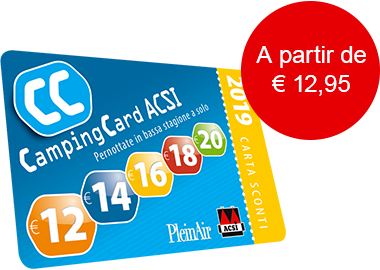 ACSI Eurocampings invia la tua richiesta di informazioni al "Campingpark Oberammergau".